Michael Cohen, President Donald Trump's personal attorney, looks on as his attorney (not pictured) delivers a statement to reporters after meeting with Senate Intelligence Committee staff on Capitol Hill in Washington, U.S., September 19, 2017. 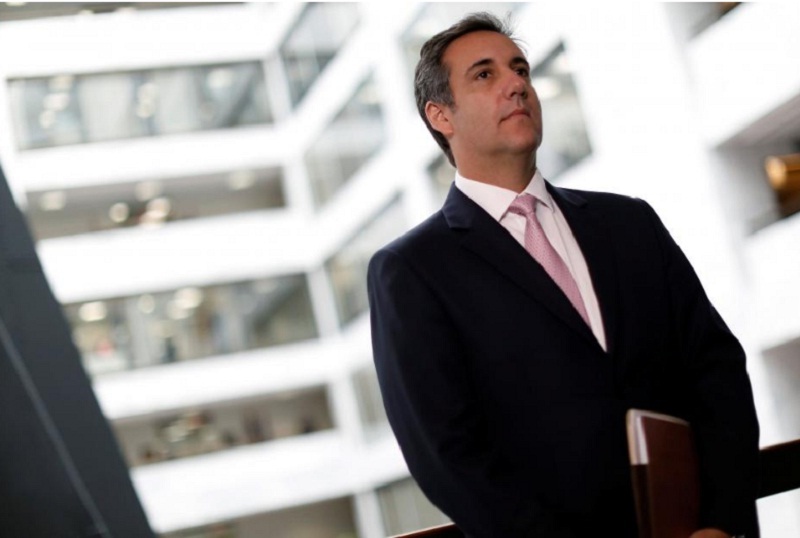 WASHINGTON - U.S. President Donald Trump’s lawyer on Tuesday denied that he or Trump colluded with Russia to interfere in last year’s presidential election, and said such charges were meant to discredit Trump’s presidency. Cohen’s name surfaced in a dossier, compiled by former British intelligence officer Christopher Steele, that reported Cohen played an important role in liaison with the Russian government and secretly met with Kremlin officials in Prague in August 2016. “I have never in my life been to Prague or to anywhere in the Czech Republic,” he said. Current and former U.S. intelligence officials have said that while they cannot verify all the details in the Steele dossier, neither have they debunked it entirely. It was not immediately clear why Cohen’s meeting with Senate investigators was postponed. Cohen said in his statement that the collusion charges are meant to discredit Trump’s presidency. “I‘m also certain that there are some in this country who do not care about the facts, but simply want to politicize this issue, choosing to presume guilt - rather than presuming innocence - so as to discredit our lawfully elected president in the public eye,” he said. U.S. President Donald Trump’s lawyer on Tuesday denied that he or Trump colluded with Russia to interfere in last year’s presidential election, and said such charges were meant to discredit Trump’s presidency.